Health care of children is given priority. The students are subjected to medical checks. 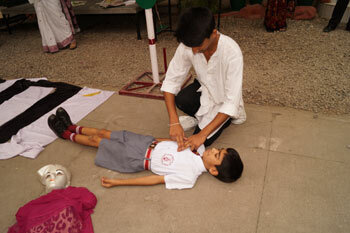 An infirmary is maintained in the School with essential First Aid facilities. The students are, however, expected to look after their general safety and hygiene themselves. Though the students are under the care of the School authorities, the school will not be held responsible in case of a students hurting or injuring himself/herself in School or during outdoor/adventure activities.